At the end of 2011 we asked parents to send in stories and photos of how their children have progressed since leaving Kids 1st. Any stories that are sent to us will be featured on this website and in Kids 1st News. 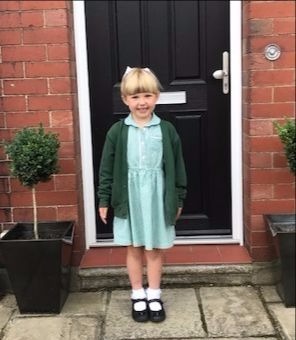 If your child is a graduate of Kids 1st, or you know somebody who is, and would like to be featured in the Kids 1st Hall of Fame please email: Rachel Todd at rachelt@hmcgl.co.uk. This season in the Kids 1st Hall of Fame we focus the spotlight on Ethan Custance who started his Kids 1st journey at Rake Lane. Since leaving Kids 1st Rake Lane, Ethan has followed in the footsteps of legends: Sir Bobby Robson, Alan Shearer and Shola Ameobi by signing for Newcastle United! He started at Kids 1st at nine months old and even before his 1st birthday he was up on his feet and walking around. Before long he was running about and inevitably, like most boys, he began dribbling a football. At the age of five Ethan began to play football regularly and started training for a local Cramlington boys club. One year later he had his first trials at the legendary Cramlington Juniors Football Club. He clearly impressed them as he was successful and chose to play in the 1st team as goalkeeper. Ethan trained up to five days a week and played on a Sunday in the Northumberland Mini Soccer League at Complete Football in Gosforth. For many this much training would put them off but Ethan’s passion for football meant that this wasn’t a problem. The training is clearly paying offer, over the last two years Cramlington Juniors team has won pretty much everything there is to win! Ethan’s proudest achievement however came this spring when he signed for the Newcastle United Academy under 9s as their goalkeeper. 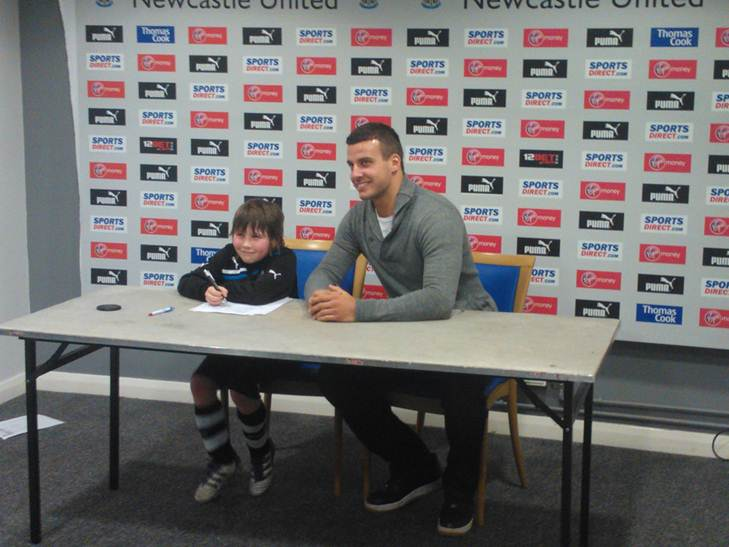 As you can see from the photograph, Ethan was joined on signing day with NUFC legend, Steven Taylor. He is now training with them four times a week and when the new season starts he will be keeping shots at bay from teams like Manchester City, Liverpool and Everton. No pressure Ethan! Everyone at Kids 1st is really proud of Ethan and we hope that one day we will see him in the famous black and white strip with the Gallowgate end chanting his name!